This article examines the global and worsening problem of research misconduct as it relates to bio-medico-legal education. While research misconduct has serious legal implications, few adequate legal remedies exist to deal with it. With respect to teaching, research ethics education should be mandatory for biomedical students and physicians. Although teaching alone will not prevent misconduct, it promotes integrity, accountability, and responsibility in research. Policies and law enforcement should send a clear message that researchers should adhere to the highest standards of ethics in research. 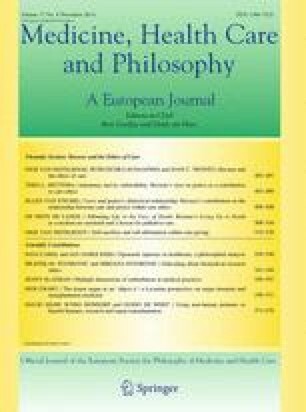 It is vital that researchers and physicians understand basic aspects of law and the legal system in order to develop understanding of the medico-legal issues not just in the legal context, but with a sound grounding in ethics, social and theoretical contexts so that they can practice good medicine. Routine and holistic research ethics education across the curriculum for medical students and resident physicians, and continuing medical education for practicing doctors, are probably the best ways to accomplish this goal. This work is supported under the European Commission’s Seventh Framework Programme (FP7). We are grateful to two anonymous reviewers for helpful comments on an earlier draft. Comité Consultatif National d’Ethique. 2004. Opinion on education in medical ethics, No. 84, April 29, 2004, available at http://www.ccne-ethique.fr/en/publications/opinion-education-medical-ethics#.Up54RMRDvHQ. Accessed 4 April 2014. Cossins, D. 2012. A decade of misconduct. The Scientist, November 27, 2012, available at www.the-scientist.com/?articles.view/articleNo/33464/title/A-Decade-of-Misconduct/. Accessed 20 December 2013. Hasty, S. 2001. Firm Fined for Selling Unapproved AIDS Test. AIDS Weekly, May 21, 2001, available at. http://www.newsrx.com/newsletters/AIDS-Weekly/2001-05-21.html. Accessed 4 April 2014. Resnik, D.B. 2011. What is ethics in research & why is it important? NIEHS‐NIH, available at http://www.niehs.nih.gov/research/resources/bioethics/whatis/. Accessed 4 April 2014.